With a wide range of spaces, most with natural light, Eden Park Function Centre is the ideal venue for your next conference or meeting. 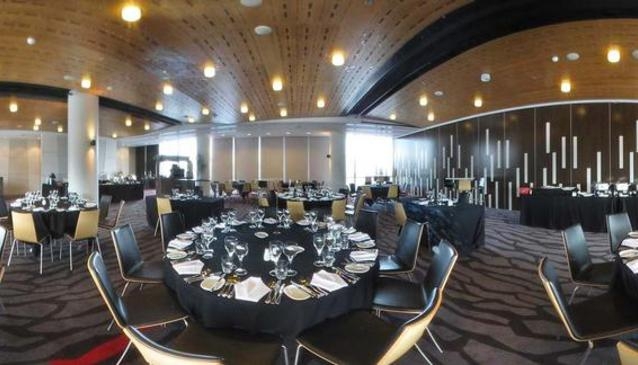 Whether you are planning an intimate cocktail party for 30, a conference for 60 or a glittering event for 1000 guests, Eden Park Function Centre offers a comprehensive service that includes full event coordination and management. In house PA and sound systems are included in many rooms and our in house audio visual experts can supply a wide range of equipment to suit your requirements. An experienced Function Coordinator will be available to guide you through the process and assist with any of your requirements. Please visit Eden Park Function Centre for more information.